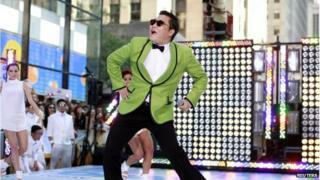 The music video for South Korean singer Psy's Gangnam Style exceeded YouTube's view limit, prompting the site to upgrade its counter. YouTube said the video - its most watched ever - has been viewed more than 2,147,483,647 times. Why was Psy nearly too much for YouTube? YouTube's counter previously used a 32-bit integer, which is a unit used to represent data in computer architecture. This means the maximum possible views it could count was 2,147,483,647. On 1 December, it posted a statement saying: "We never thought a video would be watched in numbers greater than a 32-bit integer... but that was before we met Psy." Google, which owns YouTube, later told website The Verge that engineers "saw this coming a couple months ago and updated our systems to prepare for it". Psy has yet to comment although news of YouTube's change was posted on his Facebook and Twitter pages. The second most-watched video on YouTube - Baby by Justin Bieber - lags behind Gangnam Style by more than a billion views. Video Gangnam Style: What does it mean?